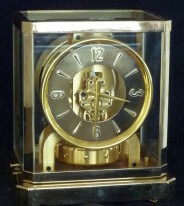 Lorenz Furtwanger & Son or LFS were considered high quality clocks build in Germany during the 19th Century and early 20th Century. This clock was built sometime between 1900 and 1930. It strikes the hours and strikes once on the half hour. 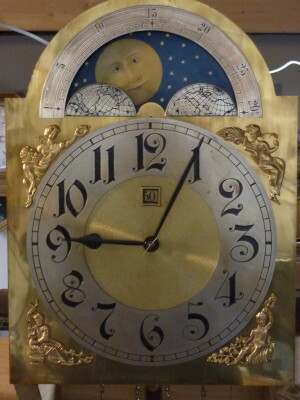 It has a moon phase and displays the day of the month in a window just beneath 12 O’clock.